What does it mean to “raise” a wine in concrete? Does it add something that oak or stainless steel does not? Is the wine in direct contact with the concrete and does it add flavor? Concrete has been used in winemaking for centuries, but is making a comeback in the New World. We have six 2,000 litre concrete fermenting “eggs” from Sonoma Cast Stone in Napa and more will arrive from Italy this coming year. There is no lining in the “eggs” so the wine is in direct contact with pure concrete. The goal is to get our own native yeasts living in the porous internal surface of the tanks so that we do not need to use commercial yeast. Concrete tanks are more work to maintain and many wineries have put an epoxy liner in their tanks which to us defeats the purpose. We don’t view concrete as a sterile vessel like stainless steel, but a vessel like oak, which plays a role in defining the taste profile of a wine. Concrete is much more subtle. We notice a fuller, rounder, more complex mid-palate and a “minerality” to the wine that isn’t in our stainless steel fermented version. Any wine that we ferment in concrete says “raised in concrete” on the front label. 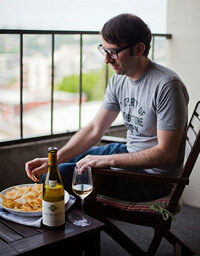 It’s part of our mission to create consumer awareness for concrete fermented wines. We let people know how and why concrete vessels are utilized, and the joy of using them. It would be interesting to taste this wine done in stainless steel, oak, and unlined concrete to see the difference. 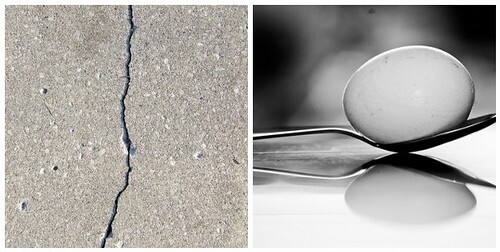 I think with concrete it’s about the interplay of yeast and concrete as well as the surface itself lending some subtle properties. Would this be similar in taste to the “naked” wines that are done in the stainless? Thanks, I thought they were really cool, too. 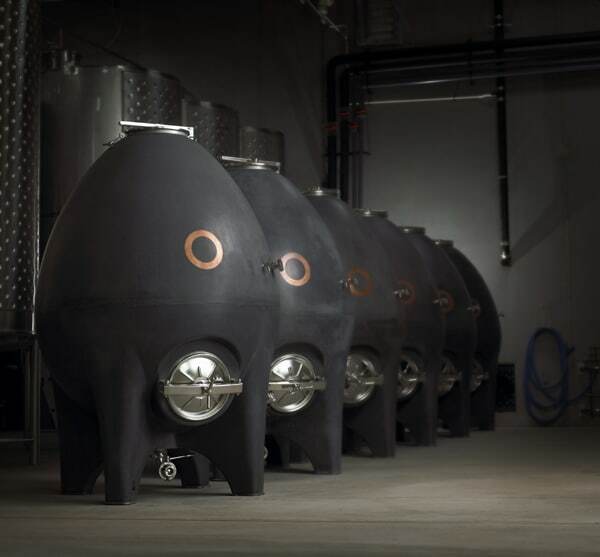 My understanding, per Christine’s comments, is that stainless steel is a neutral way to raise wine whereas with the concrete it’s porous, allowing natural yeasts to live in the egg. It also affects the flavor but in a more subtle way than oak (especially new oak barrels).